Regular exercise is an important part of effective weight loss. It helps to control your weight by burning excess calories that otherwise would be stored as fat. Physical activity also helps prevent many diseases and improve your overall health. Your weight is determined by the number of calories you eat each day minus what your body uses. Everything you eat contains calories, and everything you do uses calories, including sleeping, breathing, and digesting food. Any physical activities in addition to what you normally do will burn those extra calories. Balancing the number of calories you expend through exercise and physical activity with the calories you eat will help you achieve your desired weight. The key to successful weight loss and improved overall health is making physical activity a part of your daily routine. This is the reason the Why Weight Ireland weight-loss plan WORKS. The plan gives you the perfect tool to calculate your food intake as well as the tool to calculate the calories burnt through exercise. It does not matter what type of physical activity you perform — sports, planned exercise, household chores, gardening, or work-related tasks – they all count! Over the past few years, exercise advertisements have targeted simplified exercise routines for weight loss and maintenance. Some exercise advertisements sell the belief that one machine will work your entire body and give you the results you need. However, many of these machines may only be good for one type of conditioning, such as cardiovascular; these machines also have limitations to the type of exercise you can do and they are not good for everyone. 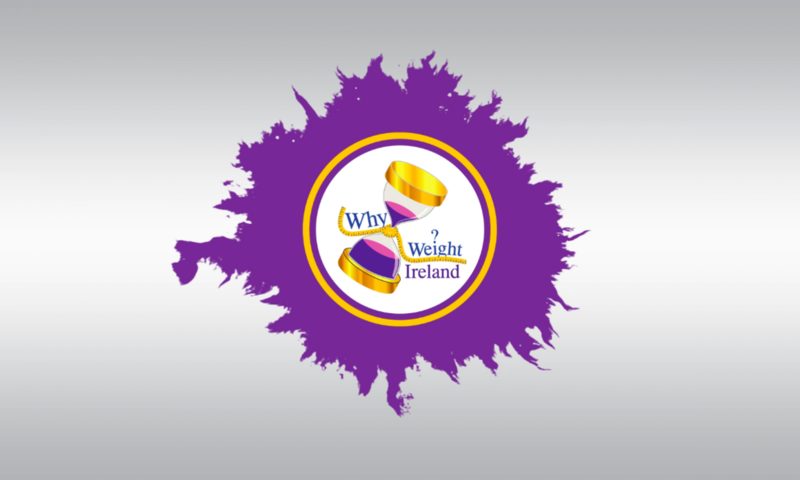 To determine the best type of exercise program for you, when joining Why Weight Ireland you will be sent a Fitness & Lifestyle Questionnaire and once filled in I would be able to fully determine which fitness routine is suitable for you. When exercising for weight loss your body does not start burning fat until 20minutes into your exercise – so you should aim for at least 25 (but preferably more) minutes of moderate intensity aerobic exercise to achieve a fat burning result. Studies show that even the most inactive people can gain significant health benefits if they accumulate just 20 – 30 minutes or more of exercise or other physical activity per day. For the greatest overall health benefits, moderate-intensity aerobic exercise (see below) most days of the week plus some form of toning or muscle strengthening activity and stretching at least two to three times a week. Aerobic exercise is any activity involving large muscles, done for an extended period of time, that makes the heart and lungs work harder. Aerobic exercise can be done for weight loss, but it also provides cardiovascular benefits. Examples of aerobic exercise include walking, biking, jogging, swimming, aerobic classes, and Zumba. Moderate-intensity activities include some of the things you may already be doing during a day or week, such as gardening and housework. These activities can be done in short spurts — 10 minutes here, 8 minutes there. Alone, each action does not have a great effect on your health, but regularly accumulating 30 minutes of activity over the course of the day can result in substantial health benefits. Before starting any exercise program, be sure to speak with your GP. He or she can offer suggestions about which type of program would be best for you or warn you of any physical limitations you may have. Take a 2 Day Free Trial – once your trial is complete you can visit our Prices & Signup page on our website and select one of our memberships to continue and receive the benefits of being a full member. Previous PostPrevious If at first you don’t succeed, then try, try again!